THE PROJECT: Transform a 1960s split-level into a comfortable home that meets the rigorous Passive House EnerPHit standards. Completed in 2015, the home won an AIA COTE Merit Award (for sustainable design excellence) the same year. This 3,000 sf Maiden Cove property is home to Francis and Kelly Boero. 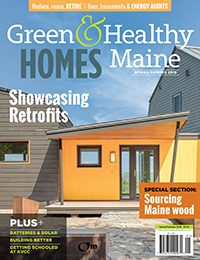 Among their primary goals in the renovation: maintain the mid-century aesthetic of the original structure, blend it with a coastal Maine sensibility and ultimately, create a house that is “worry-free.” The latter was what led them to pursue a high-efficiency home built to Passive House standards. With a desire to travel after retirement, the Boeros wanted a place they could leave without worry of frozen pipes or high heating bills, and they wanted stability in their energy expenses. 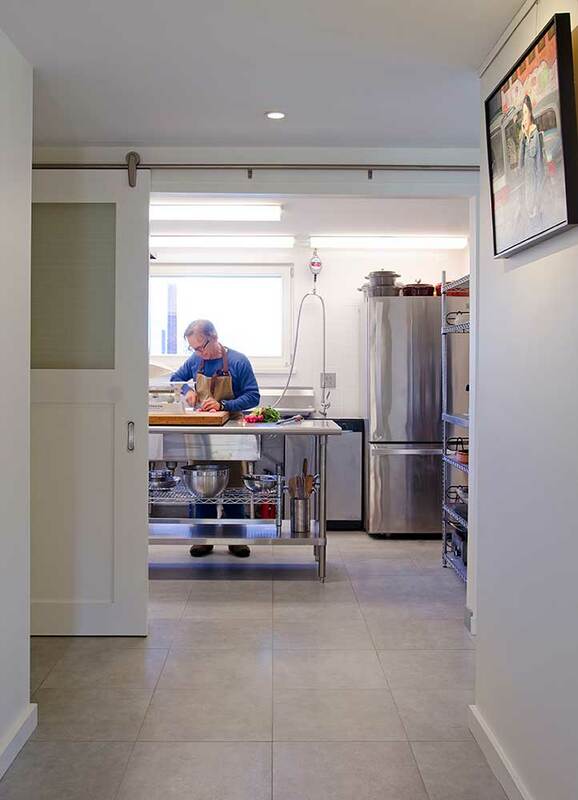 Post-renovation, their total energy costs now average $140/ month, including charging an electric vehicle and running a commercial kitchen—Francis Boero is a food scientist. The home is equipped with heat pumps and a gas fireplace, although the systems rarely come on. As with many houses designed to Passive House standards, the Boeros find that their everyday activities contribute significantly to the warmth of the house. Drying a load of laundry? Baking cookies? With their energy recovery ventilator, the captured heat is transferred to fresh incoming air and recirculated. A plan for 12kW of solar electric panels in the near future will make the home near zero for site usage. Why we like it: If you have the opportunity and the budget, a deep energy retrofit is a once-in-a-lifetime opportunity to transform a home’s energy efficiency. This project touched about every aspect of the home’s performance. Projects like this can help provide data, means and methods for more modest projects. EFFICIENCY: Built to Passive House EnerPHit standards. Total energy costs average $140/month. BUILDING ENVELOPE: Foundation—R-50, suspended floor, Walls—R-40, Roof—R-45, Windows—R-10, Airtightness—0.7 ACH50. SYSTEMS: Heating and cooling—heat pumps wall mounted cassettes on ground floor, ducted to upper floor. Some electric heat in bathrooms for comfort. Ventilation—Zendher ERV.